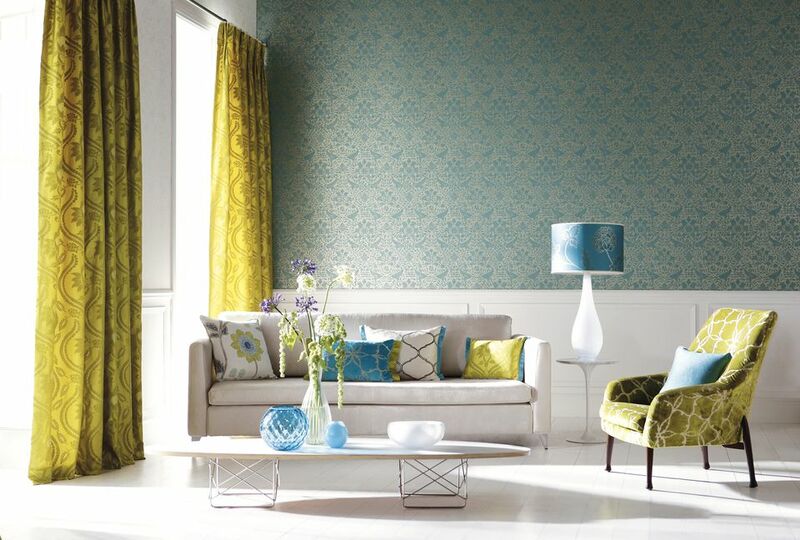 Sewing your own curtains allows you to have exactly what you want on your windows. 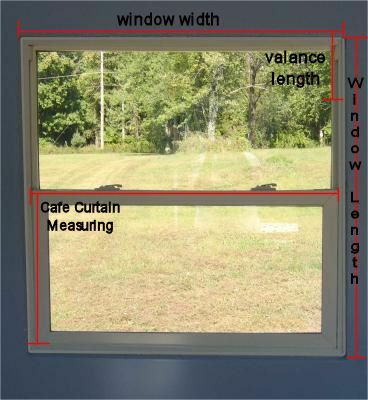 The first step toward calculating how much fabric you will need to buy is to measure the window. Do you want the curtain to go to the ceiling? Do you want the curtain to go to the floor, or is there a radiator that you want to leave unobstructed? How thick is the curtain rod you will use? Do you want the curtain in the window recess or to cover the entire window and trim? How full do you want the curtain? Finished LENGTH + (plus) HEADER (facing) to the bottom of the rod + (plus) 1" (to turn under 1/2" at each END of panel + (plus) HEM (allow 2" to 3" depending on the weight of fabric) = TOTAL. This will give you the amount you need for each panel. Total LENGTH needed for each panel X (times) the NUMBER of panels / (divided by) 36" (for a yard of fabric or 39.37" for a meter of fabric) = TOTAL. Slightly add-on for tie backs, ruffles, fabric shrinkage, extra width and other trimming desires or matching pattern repeats in print fabric. Many windows will need more fullness than one length of fabric will achieve. A simple rule of thumb is that a curtain is one and a half to two times the width of the area it is meant to cover. A heavier fabric will provide fullness that a lightweight fabric will not supply. The lighter the weight of the fabric the more fullness it will require. For appearance and proper hanging, it is best to have at least a half width of the original fabric when you need to add width to a panel. If you only want a couple of inches more than the original length of fabric will offer, cut away from the first length of fabric and add it on with the second length seamed to the first length of fabric. Add additional panel lengths to achieve the desired width to the original length of the panels to purchase the proper amount of fabric. A one-inch hem is usually sufficient for the sides of curtains. Will the fabric shrink? Always preshrink the fabric before you cut it. Did you double check your calculations? Always measure twice to be positive before you cut! Is there a print on the fabric that will need to line up on the panels? Have you allowed for this? Do all the windows receive the same amount of sun or are one set of panels apt to fade more than the others? It may be worthwhile to buy enough fabric for an extra set of panels while you can get the fabric. Do you want any extra fabric to sew or trim pillows? Use a different fabric for hems and topper facings, seaming the fabric that will be on the back of the curtain at the folds. Using under-stitching helps the additional fabric stay to the backside of the curtain. Add borders of a contrasting print or solid fabric to add length and/or width. Use drapery weights to assist the way a curtain hangs. The selvedge of many print fabrics has pattern repeat markings. These markings allow you to know when the pattern starts so that you can easily have every panel be the same. The amount of extra fabric to buy will depend on how often the fabric repeats. There is no getting around buying extra to match a print.